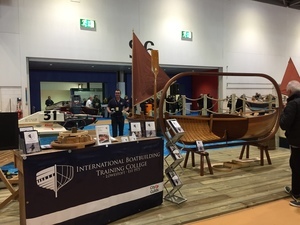 We are pleased to announce that IBTC Lowestoft have been invited to be part of the Classic Boat Collection at this year’s London Boat Show! 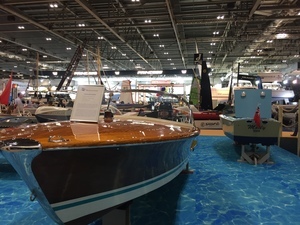 Always the most popular visitor attraction, this year the Classic Boat Collection will be right at the forefront of the Show, bringing together a number of Classic Boats offering visitors a slice of traditional skills set against the modern yachts of today. 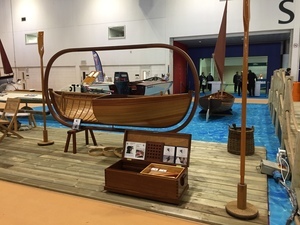 IBTC will be showing a classic Herreshoff Columbian dinghy recently built by college students to original designs. 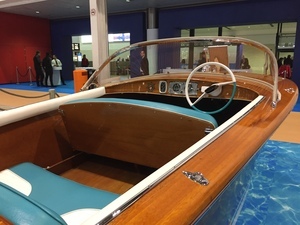 Constructed of mahogany on oak and cat rigged with tan sails by James Lawrence, it is a fine example of our boat building heritage still being maintained in the 21st century. 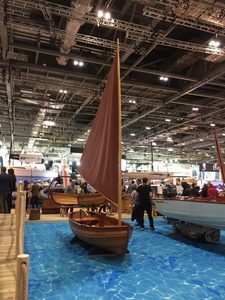 We will also be demonstrating the skill of steam bending timber to create beautiful ash mast-hoops fastened with traditional copper roves.